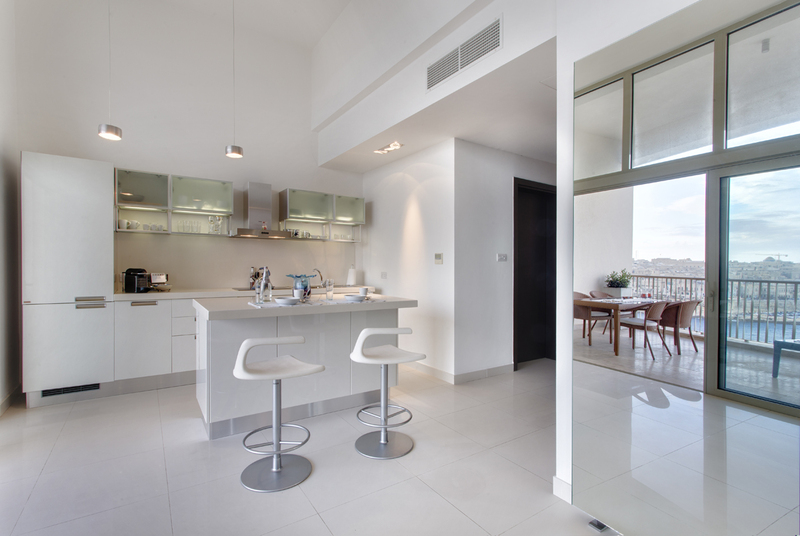 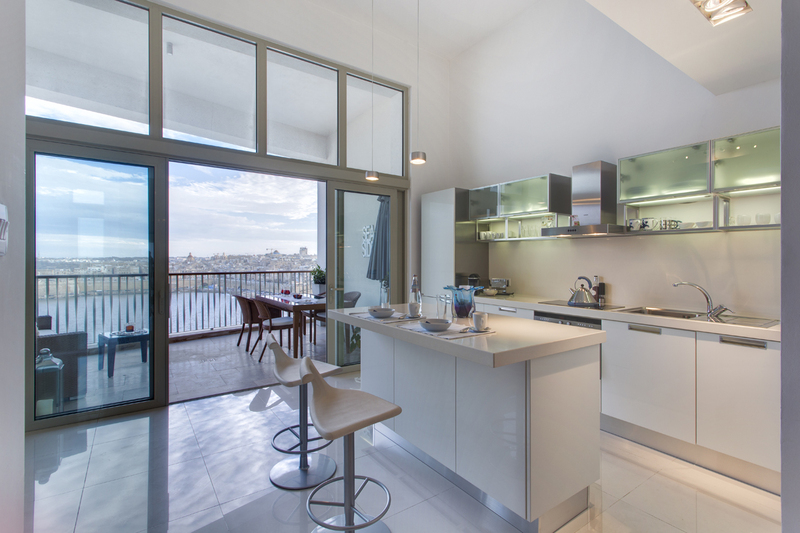 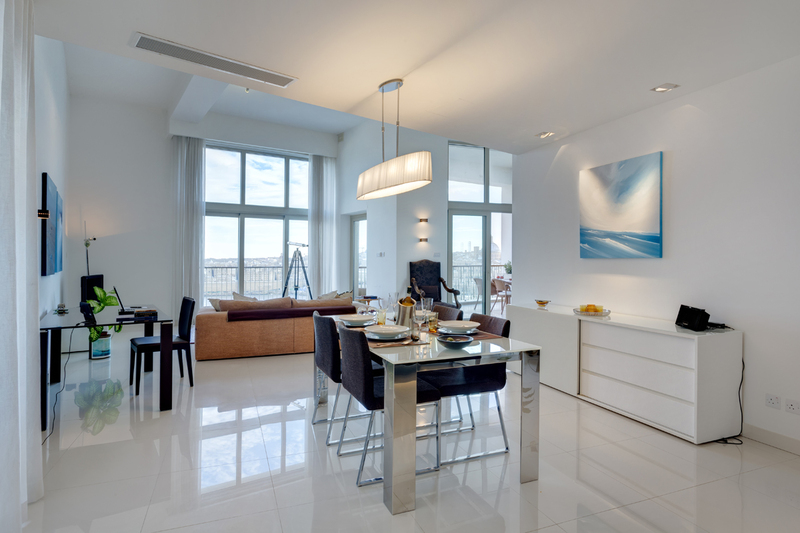 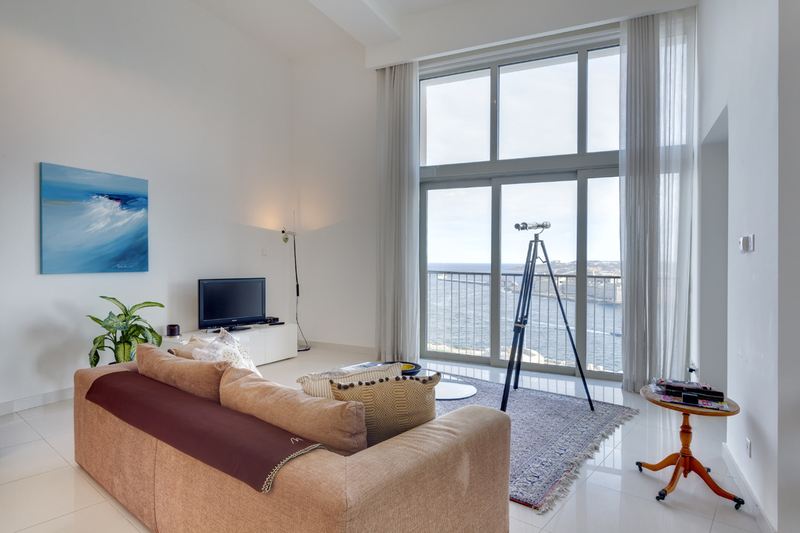 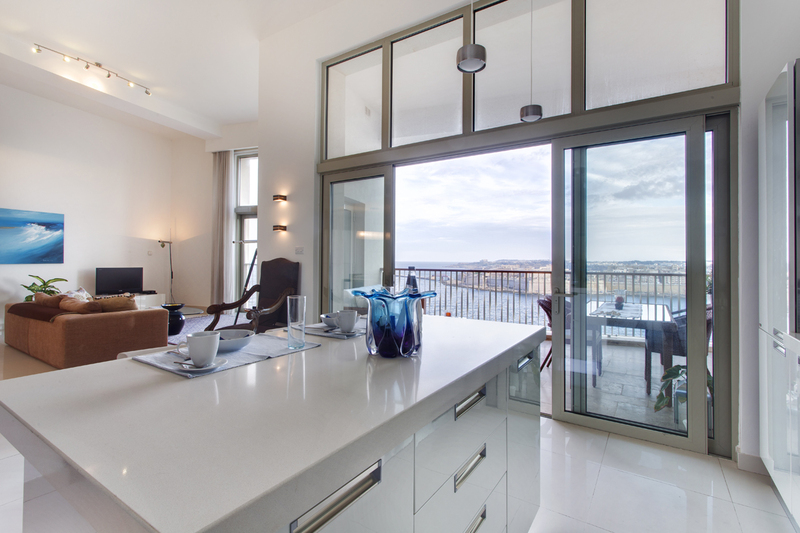 Located in Tigne Point, the most prestigous residential complex that Malta has to offer, this designer finished apartment encapsulates everything one could possibly ask for in a superlative luxury accommodation while providing one of the best, most breath-taking views you could ever wish for! 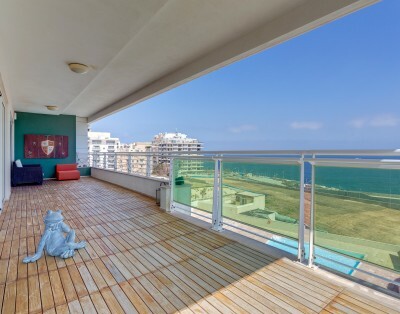 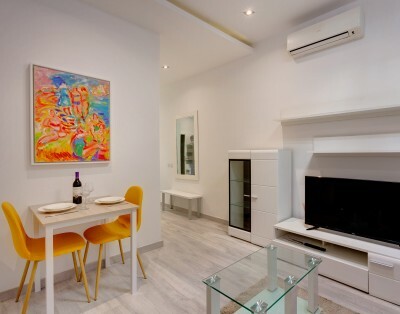 This bright 150 sqm two bedroom apartment offers a private haven where guests can relax in the beautifully furnished open plan kitchen, living and dining area. 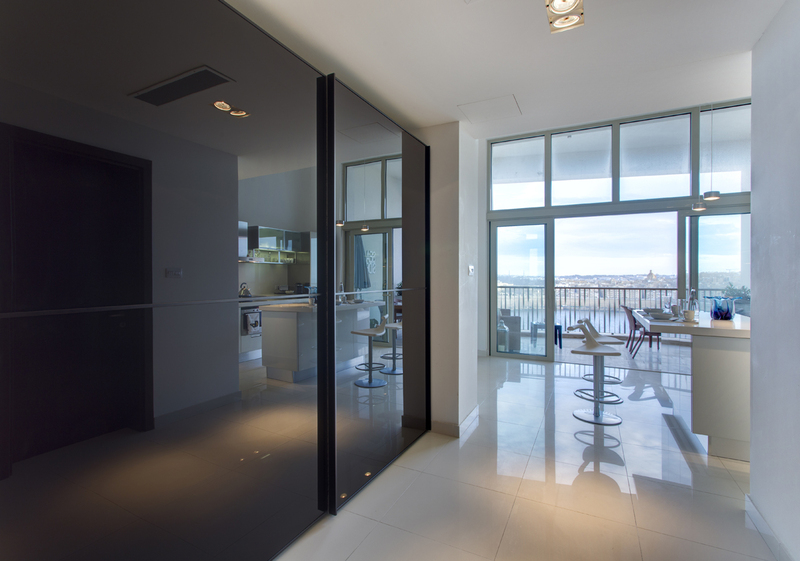 Large glass doors which lead to the outside terrace slide away to create that outdoors sensation at all times. 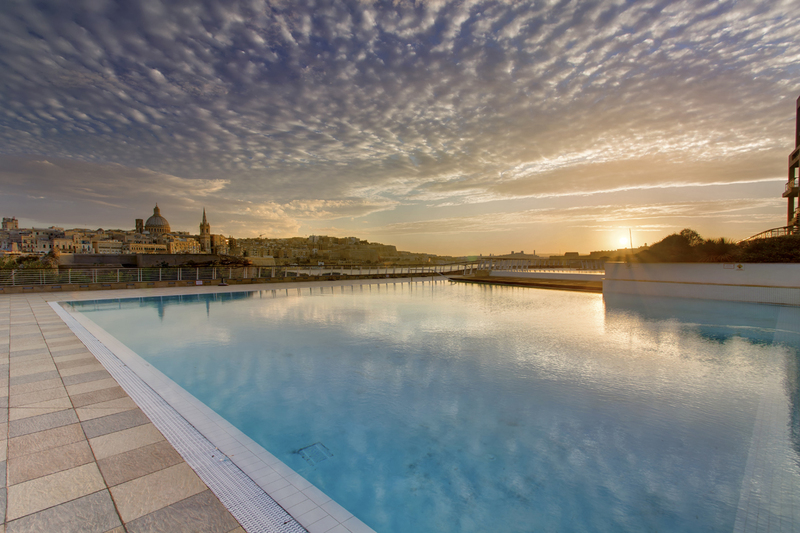 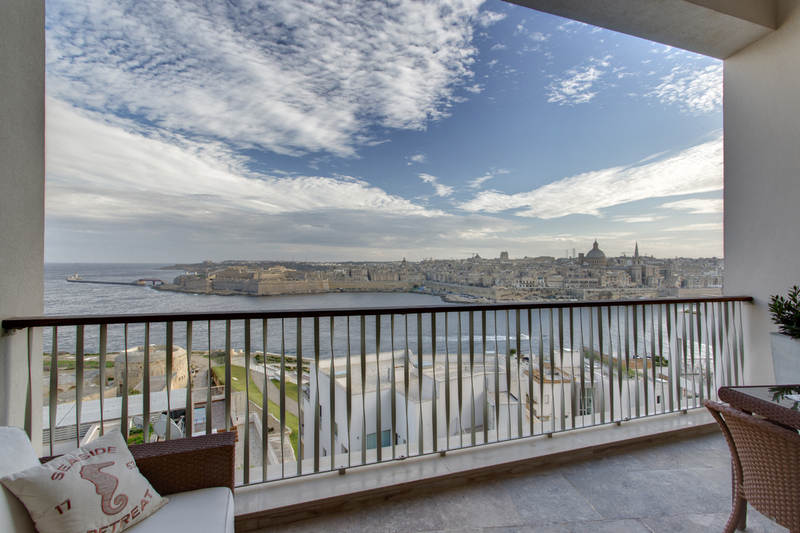 From this vantage point, one can only marvel at the profound views of Valletta’s 16th century bastions and the Mediterranean blue sea. 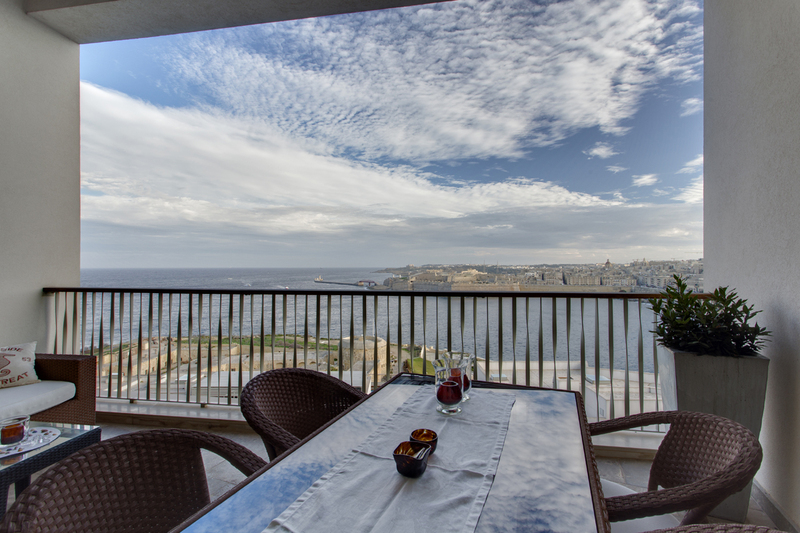 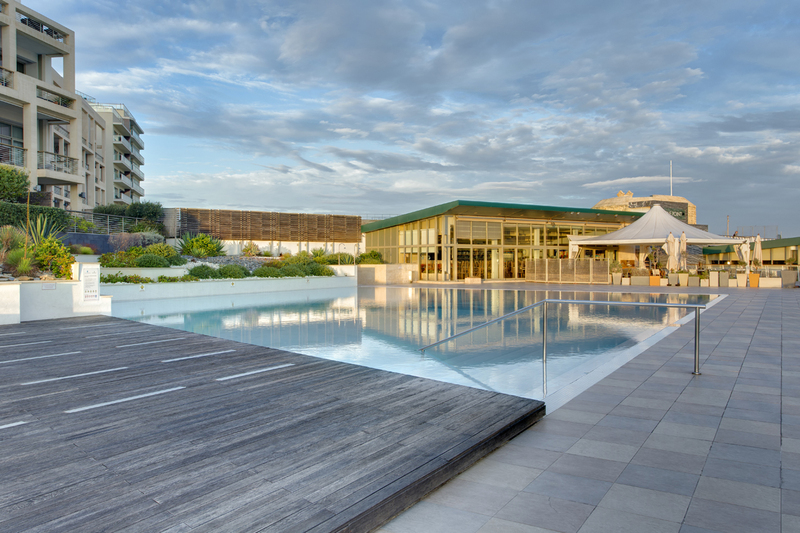 The large private terrace area is perfect for sun lovers wishing to enjoy leisurely hours sunbathing (in privacy), reading a book or sipping cocktails, whilst marvelling at the spectacular views. 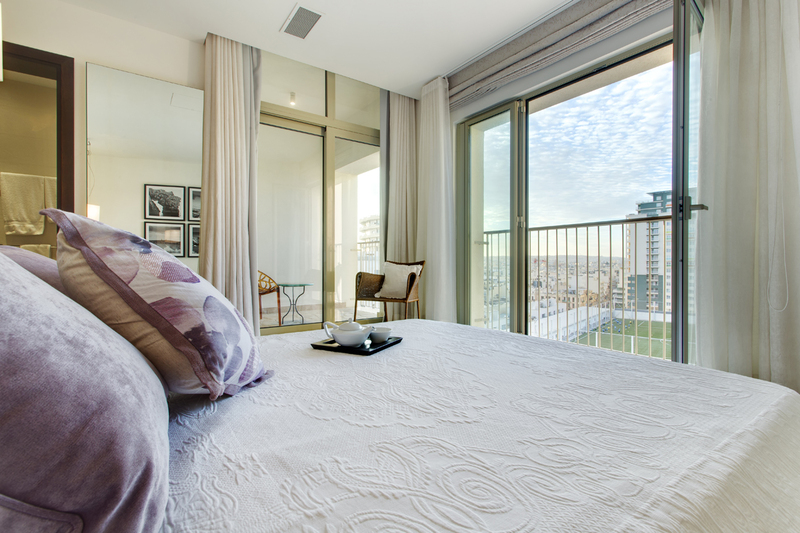 Beautiful sea views will also greet you every morning when you awake up. 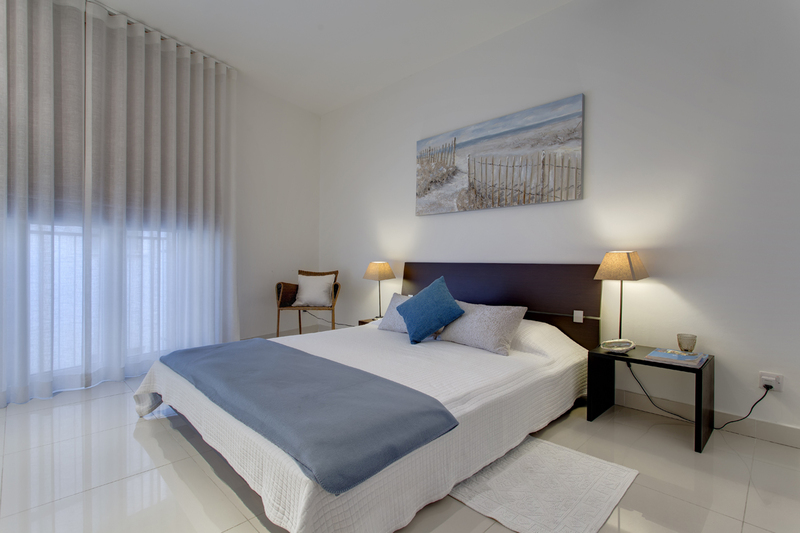 The master bedroom features a king size bed with stylish furnishings and an en-suite facility. 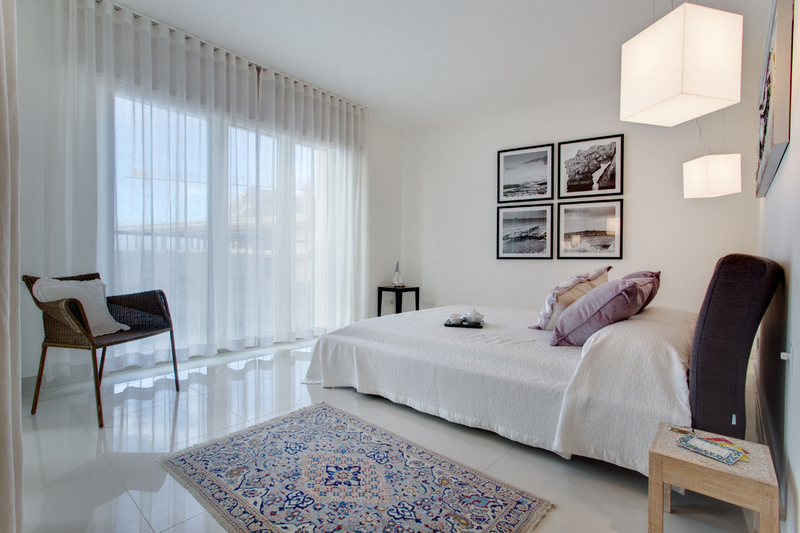 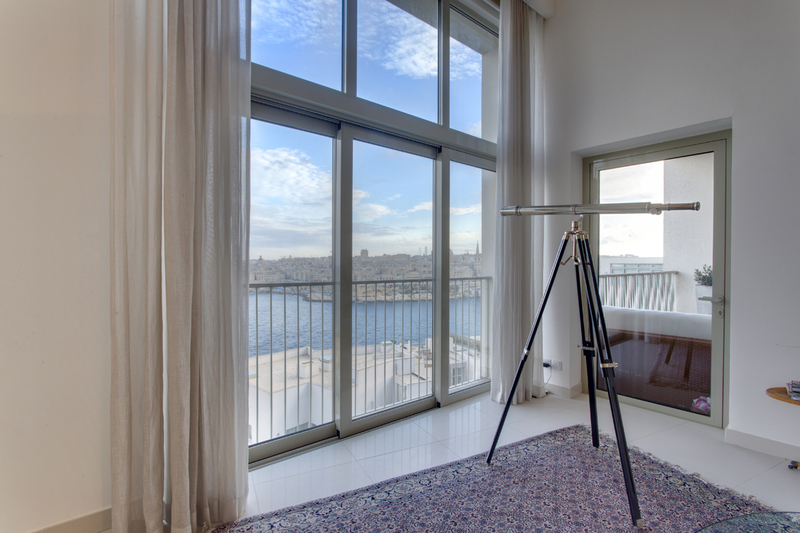 The second bedroom features a king size bed and comes with Tigne Point Pjazza views. 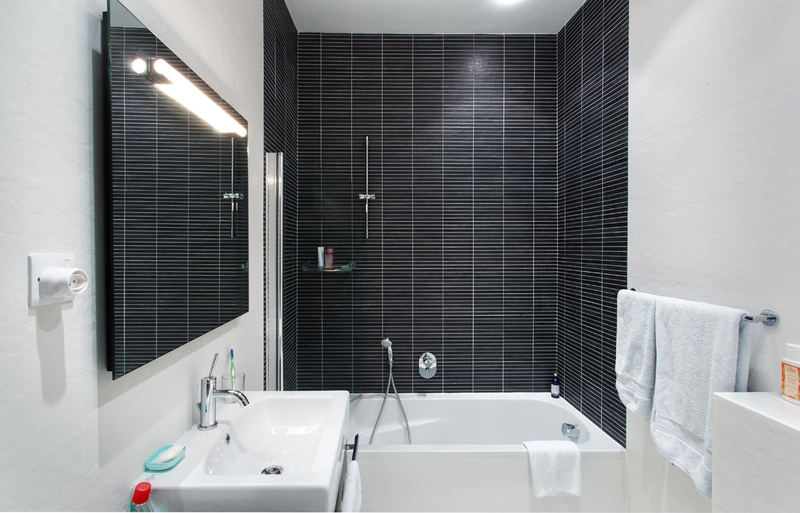 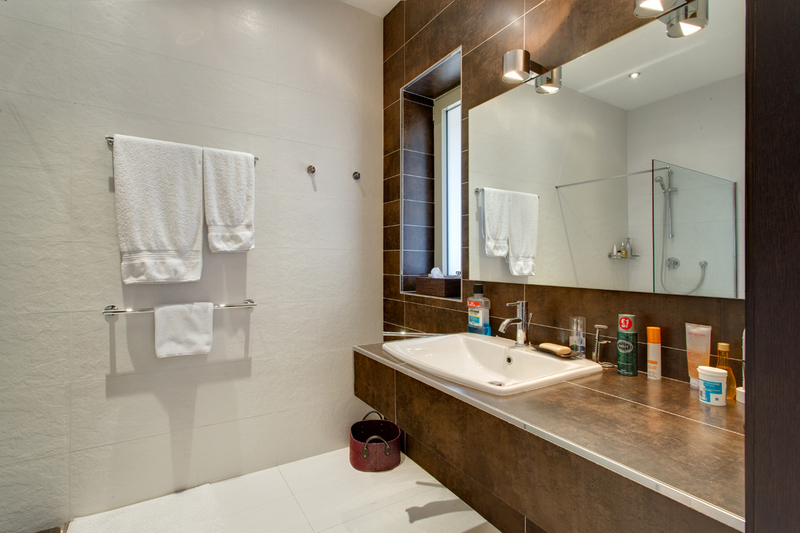 The beautifully finished bathroom is fitted with a large bath and shower facility. 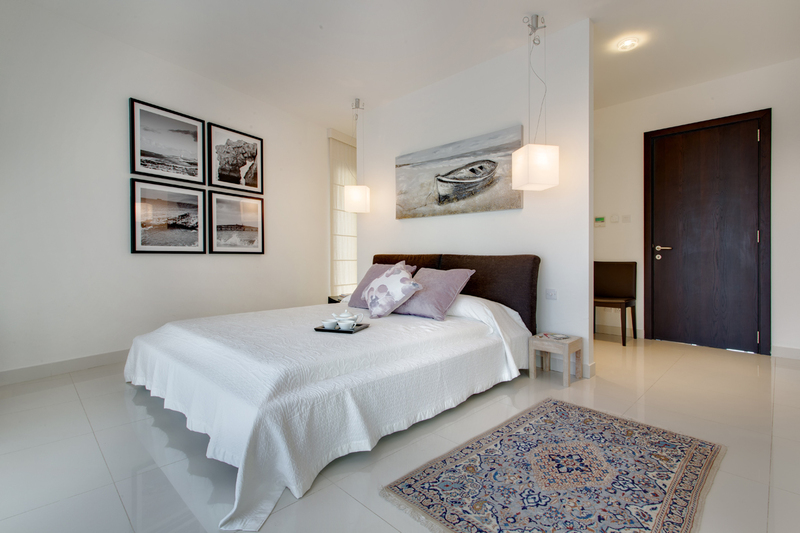 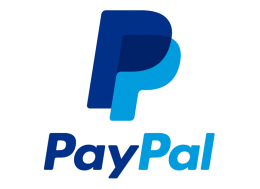 Underground parking is available at an additional cost on request.